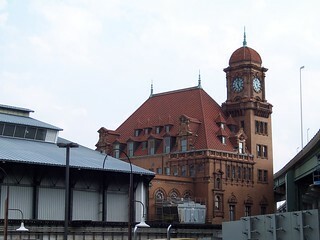 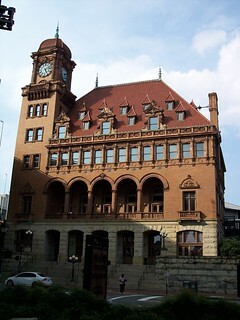 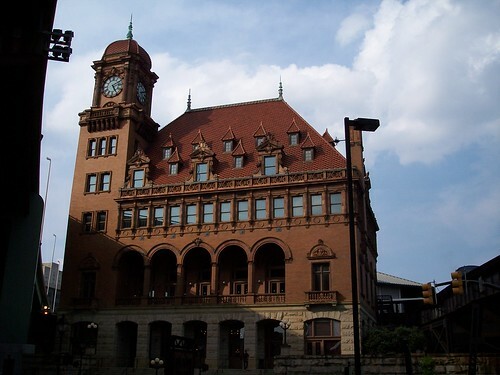 The ornate old Main Street station in Richmond. 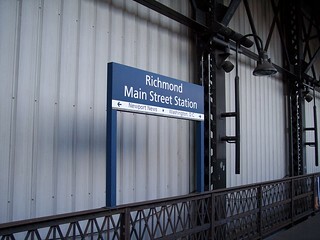 I began a short trip to Ashland here. 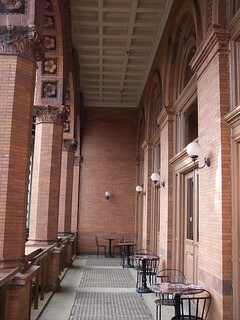 The outdoor area on the second floor of the station. 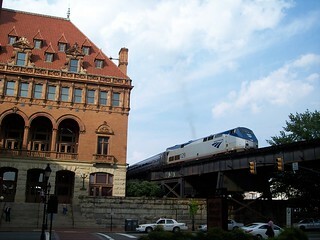 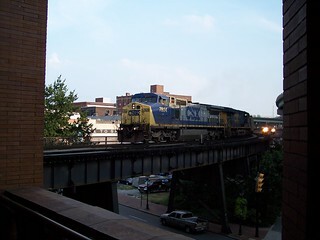 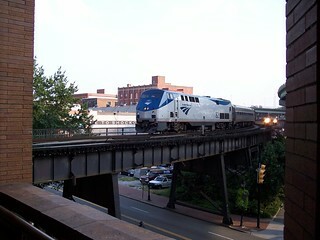 An Amtrak train bound for Newport News departs the station and a CSX freight enters the station. 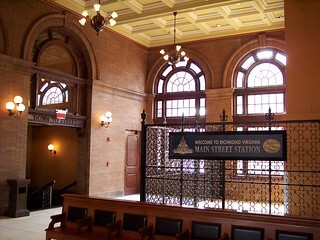 The first floor of the station. 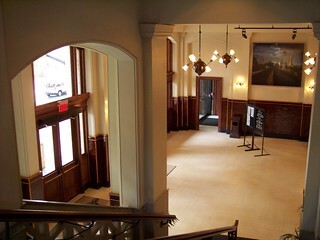 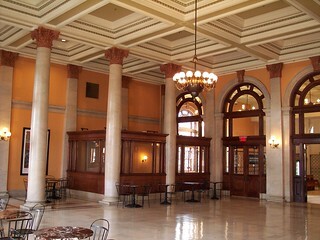 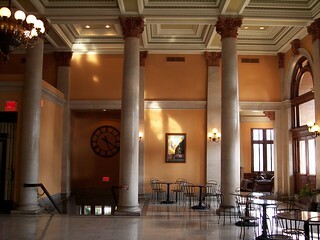 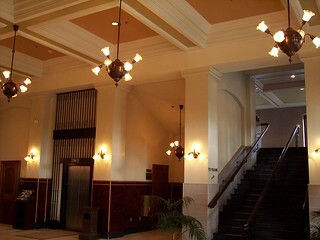 The former main waiting room on the second floor. 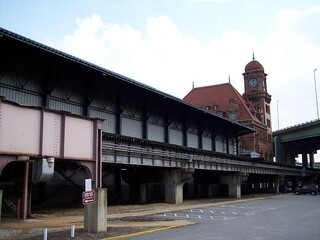 The current waiting room was once the walkway to the train barn. 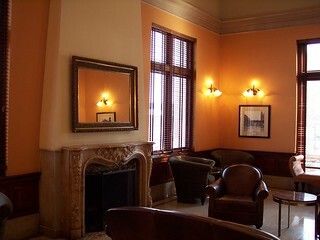 Off the former waiting room are a couple of sitting rooms, one with a fireplace. 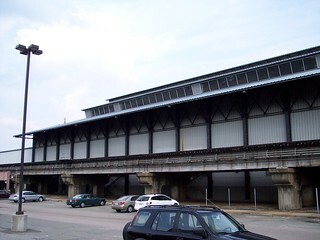 The old train barn is now sealed. 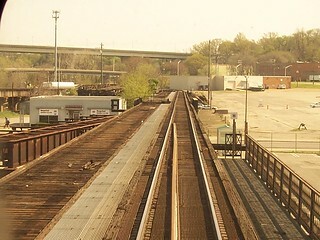 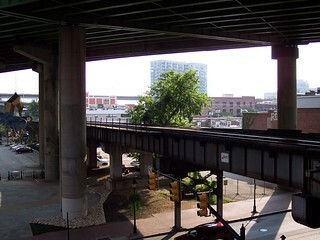 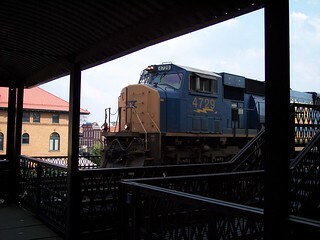 The former Seaboard Air Line tracks run along the west side of the station and are seen heading south, while on the east side of the station a CSX freight arrives on the former Chesapeake and Ohio tracks. 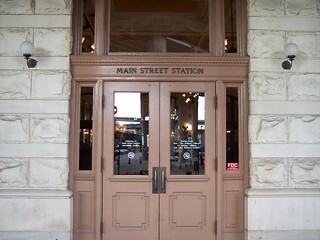 My train to Ashland arrives at the Main Street station. 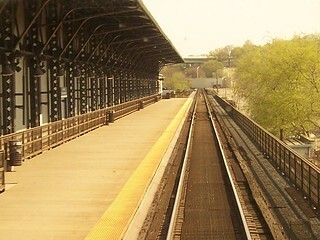 The platform and north end of the station.